Fall is upon us, and in Nevada, that means it’s festival season. Across the state, Nevadans have innumerable options to celebrate the new season in style. Below are the very best opportunities to get into the festive spirit and welcome fall with open arms. The Pumpkin Palooza in Sparks, Nevada, is an incredible, family-friendly fall festival chock full of Halloween-themed activities. Activities include live music, marshmallow shooting, a costume parade, pumpkin beauty salon, carnival games, and more. If you’re looking for a major Ren fest to be a part of, this is it. On the grounds of this big event, you’ll find attraction such as a dinner theater, guilds, live music, and much more. Vendors can be found around the grounds selling handmade, artisan crafts. Dress your best and don’t miss out! RiSE Lantern Festival in the Mojave Desert takes place on the Jean Lake dry lake bed. This four-night festival includes gourmet food, yoga, a patio bar, hiking expeditions, live music, and a mystical series of lantern releases. Spend the weekend in the Mojave Desert for a fantastic time. The Galleria at Sunset Oktoberfest is one of Nevada’s best Oktoberfest celebrations. 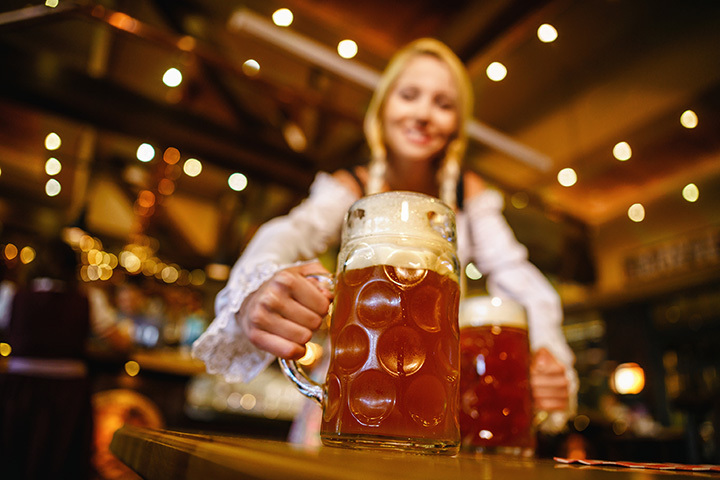 The event includes beer with over 15 different German and local beers, live polka dancing and Bavarian music, pretzels, brats, beer tasting contest, beer stein race, and much more. The Rock ‘n' Roll Marathon Series combines one thing most people love—rock and roll—with another thing most people… don't—running. The Marathon Series is one of the largest running series in the U.S., with Las Vegas raising over $275,000 for St. Jude Children's Research Hospital last year. Cross the finish line and be treated to one of the biggest rock ‘n' roll acts in the business. Previous bands include Goo Goo Dolls, Fitz and the Tantrums, and The Band Perry, among many others. This annual event brings comic book lover’s from around the nation together! This is a free, one-day event featuring renowned publishers, panels, and special guests, as well as vendors and film screenings. If you’re a comic book fan, do not miss this one. The Laughlin International Film Festival is an annual celebration of the year's best films from around the globe. The schedule changes from year to year but always includes unique independent films of varying lengths and genres. Join the vendors at the annual Touch of Class Craft Show in Minden, Nevada, to experience local artisan’s newest creations. Over 30 booth-free vendors contribute to an overall boutique feel. Pick up brand new, hand-made crafts at this annual Nevada tradition.